The St. Anthony was created by Anthony Grumbine of Harrison Design for a Mediterranean residence on which we collaborated. The gracefully curved arm and starred backplate detail create dynamic silhouettes from every angle with our DLG Antique glass. Hand forged in heavy gauge wrought iron. 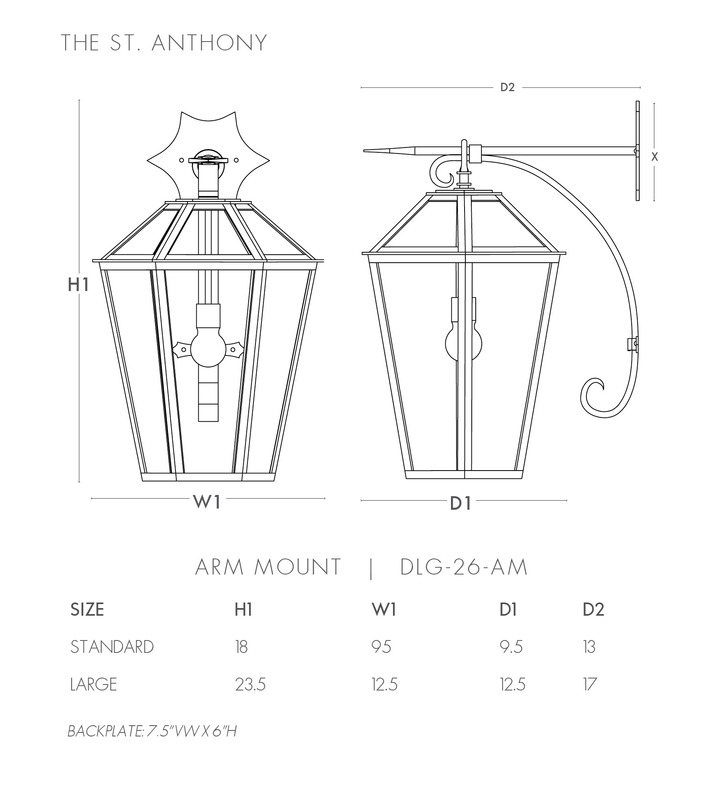 Lantern shown in DLG Old World finish with DLG Antique glass.